For its rankings, OnlineMasters.com analyzed 866 online MSN programs and consulted 27 health industry experts, clinic and hospital managers, current students and alumni to identify 46 top programs. Its methodology included academic quality (40 percent) – academic metrics, number of online programs offered and faculty credentials and training; student success (40 percent) – graduate reputation, student engagement, and student services and technology; and affordability (20 percent) – average net cost, percentage of students with loans and default rate. FSU offers an online Master of Science in Nursing that is a 37-credit-hour program, including coursework in nursing informatics and research and systematic analysis. The program currently offers four tracks, Nursing Administration, Nursing Education, Family Nurse Practitioner and Psychiatric and Mental Health Nurse Practitioner. Prospective students are registered nurses who have earned a bachelor’s degree. The nursing administration track is designed to prepare nurses for management and leadership roles in nursing homes, hospital nursing departments or other clinical settings. Graduates in this track are also qualified to teach with an administrative specialty. FSU’s MSN coursework and progression are designed for adult learners with full-time jobs in mind. Part-time and full-time options allows students to study at a pace that works with their budget, career and family life. FSU also draws on faculty that are well versed in nursing specialties and online learning environments, so they know how to support adult learners who are balancing work, life and education. OnlineMasters.com ranked FSU at number 29. FSU’s MSN program is accredited by the American Association of Colleges of Nursing. FSU is accredited by the Middle States Commission on Higher Education. 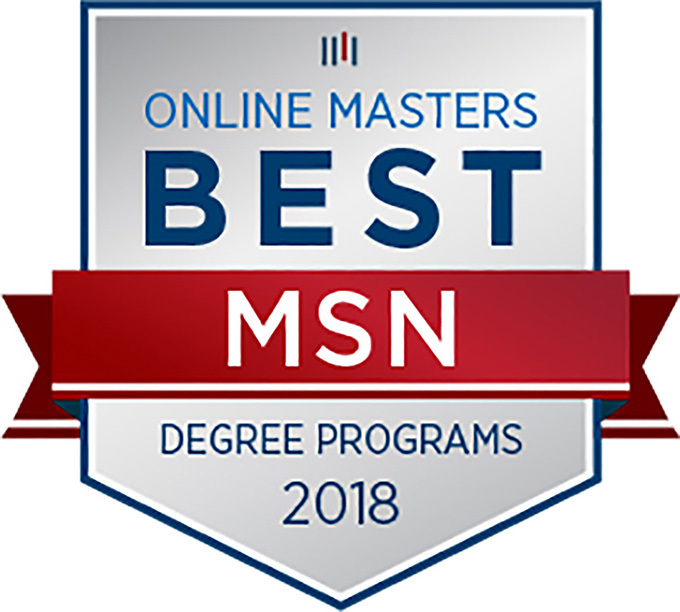 To view OnlineMasters.com’s rankings of the Best Online MSN Programs for 2018, visit https://www.onlinemasters.com/msn-programs.